I obviously failed in my attempt to take an artistic picture of the Tower of London. It just looks slanted and confusing, and it’s making my head hurt. I really need to take some photography classes. Anyways. 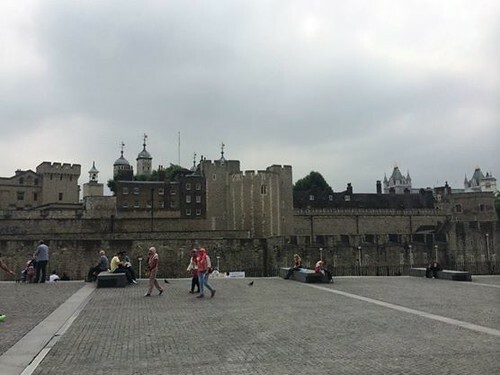 Tower of London, one of the most historical castles in all of England. What is unique about this castle? Well it has many purposes. It used to be the residence of the Kings and Queens of England. It also is a prison and execution site. Many tragedies also happened in this castle (two princes were killed in their room, 3 queens were executed inside the castle). Aside from all the gore? Well, its a really beautiful castle!! Every hour there is a free tour which you can take. The Warders (care takers of the castle) or also known as Beef-Eaters provide the tour. 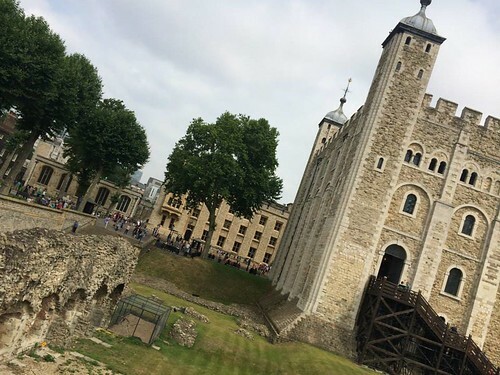 I highly recommend going on this free tour because they tell you a lot of cool stories and background on the Tower of London. Plus, it’s free, so it’s awesome. After going on the tour I would say go straight to the Crown Jewels show room where you can see the crown the Queen wore when she was put as Queen of England. To be honest, it was just all diamonds. But it’s something you need to see. The exterior of the castle. I was just reading this on wikipedia, apparently this castle is haunted because of all the tragedies that occur. I ain’t coming here at night that’s for sure. The nearest tube station is Tower Hill, and I am not even going to try to describe how to get there. It was a bit hard to find since there weren’t much signs, but just ask the locals if you get lost =p Admission is also about 22 Euros for an adult, well worth the admission!